Hand woven at our farm, from the fragrant lavender picked from our field! Each one is slightly different and unique, due to varying varieties of lavender used. The length of wands also vary a bit, from 8”-11” long, depending on our growing season and variety. 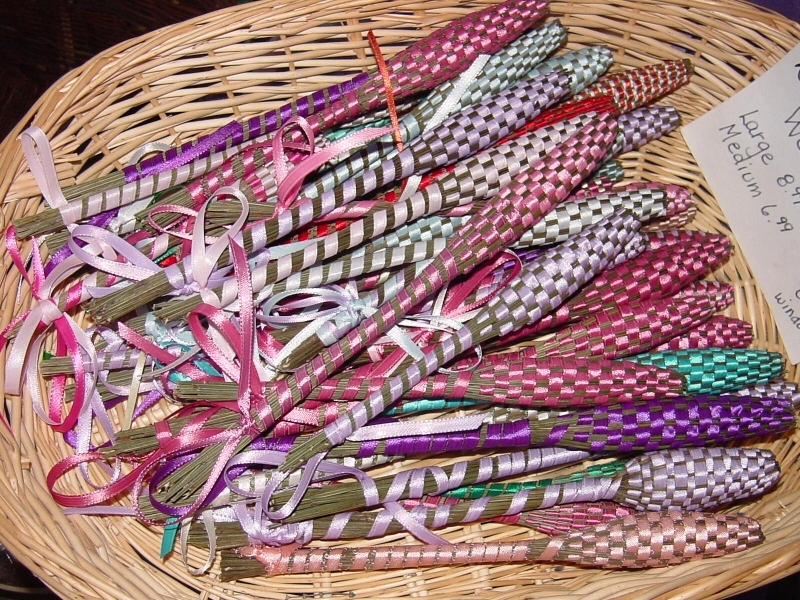 They are woven with satin ribbon, usually in lavender or purple. Each wand is beautiful and fragrant. Hang them in closets or on door knobs. Put them in linen drawers or on your bedside table. They make wonderful gifts.